After facing backlash about fake news in India, WhatsApp is now trying to spread awareness about misinformation. The company is doing an actual roadshow with skits and songs to convey their message to the locals. The company has teamed up with Reliance Jio – a telecom company and phone maker – for this initiative. 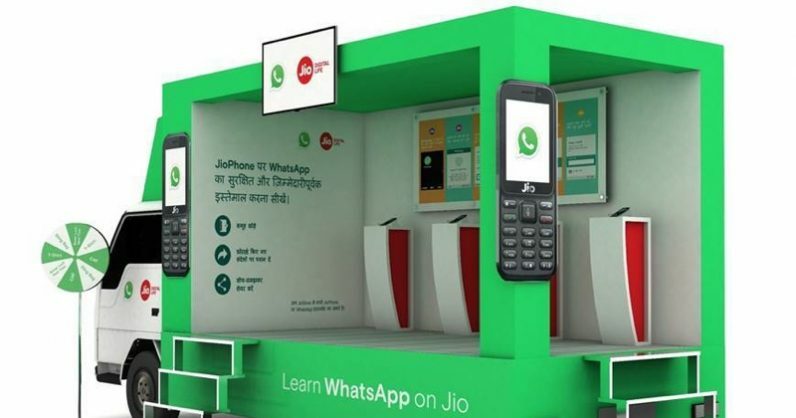 Reliance Jio recently announced that WhatsApp is now available to more than 25 million people using KaiOS-based the JioPhone priced at $20. The roadshow will stop in ten cities, and is aimed at instructing people on how to install WhatsApp on these phones and how to identify fake news in the chat app. “Our goal is to drive one of the largest coordinated public education efforts on misinformation to date anywhere in the world. We are excited to be a part of this journey and help organize a campaign that educates people on how to communicate in a simple and safe way with WhatsApp,” the company said in a statement. The Indian government told WhatsApp to up its game to fight fake news after a video about child kidnappers led to multiple lynchings in the country. The chat app later added labels to identify forward messages and limited users’ ability to send forwards to multiple people. It even published a full-page ad in national newspapers about identifying misinformation. The Facebook-owned chat app even appointed a grievance officer to address concerns regarding the fake news. It has agreed to host some of its payment-related data in India. However, it has said that it won’t break the end-to-end encryption used to protect calls and chat messages. India is probably the most important country for WhatsApp, hosting over 200 million users. It’ll be interesting to see if these steps will help the company to fight fake news.